Sew days for Share the Weight will begin again in March 2019. If you would like to join the fun please contact Jennifer Buttolph to sign up. 515-460-2787. MHQ will be hosting one volunteer sew day each month to sew weighted blankets for children and adults on the autism spectrum. Please see the website Sharing the Weight for more information on this organization. 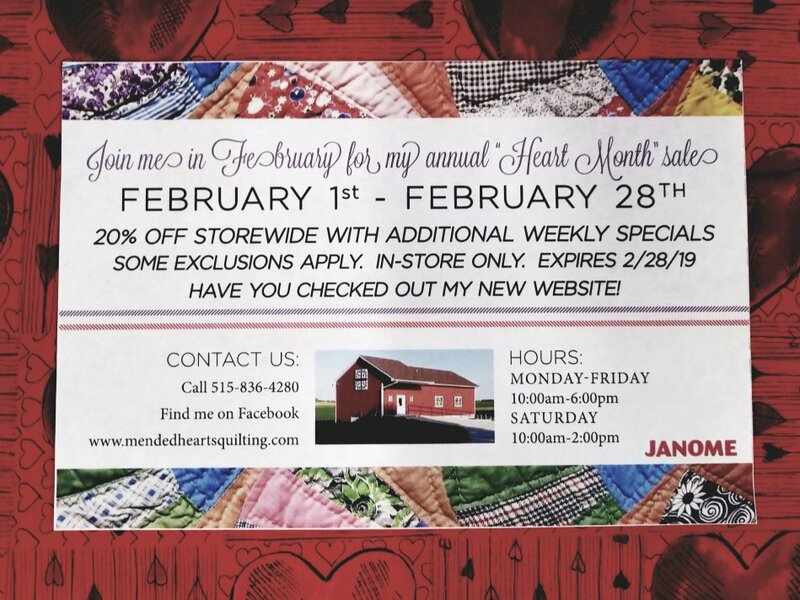 You can visit the calendar page of MHQ to see details of the next sew day. Instructions for making weighted blankets. Please click on HOW TO MAKE A WEIGHTED BLANKET to open a page of detailed instructions. Use the following chart to plan your blankets. 3 pound blankets take 30″ X 40″ fabric with 5 columns and 7 rows. 5 pound blankets take 40″ X 50″ fabric with 7 columns and 9 rows. 7 pound blankets take 40″ X 60″ fabric with 7 columns and 11 rows. 10 pound blankets take 40″ X 72″ fabric with 8 columns and 13 rows. 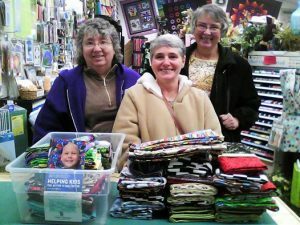 Three ladies from the Knot Sew Perfect Piecers group came by the shop. They dropped off FIFTY pillowcases to donate to Ryan’s Case for Smiles. Pictured from left to right are: Val Bonk, Lisa Olson, and Sue Albers. Thank you so much! 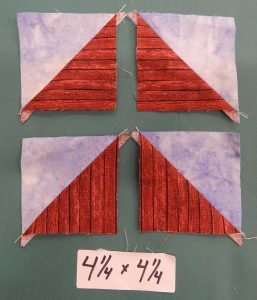 There is a missing step from the directions for the BARN panel portion of the Row by Row Kits. 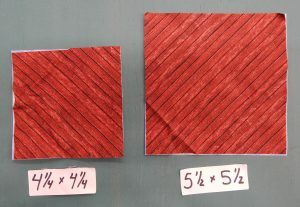 When cutting the squares from the barn board fabric, they need to be cut on the bias, so that the boards run from corner to corner. See Illustrations below. 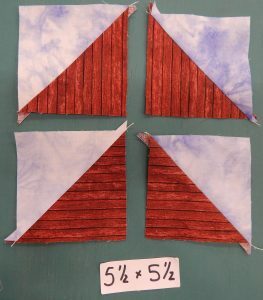 Then follow the instructions as printed on the pattern. 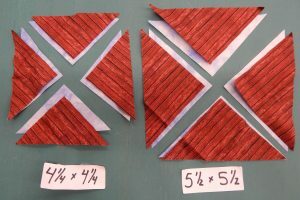 When your half square triangles are finished they need to be trimmed to 2 1/2″ and 3 1/2″ respectively. Board design runs from corner to corner.